Still vivid today, Harewood's Chinese wallpaper was found in near perfect condition after being cut from the walls in the 19th century. 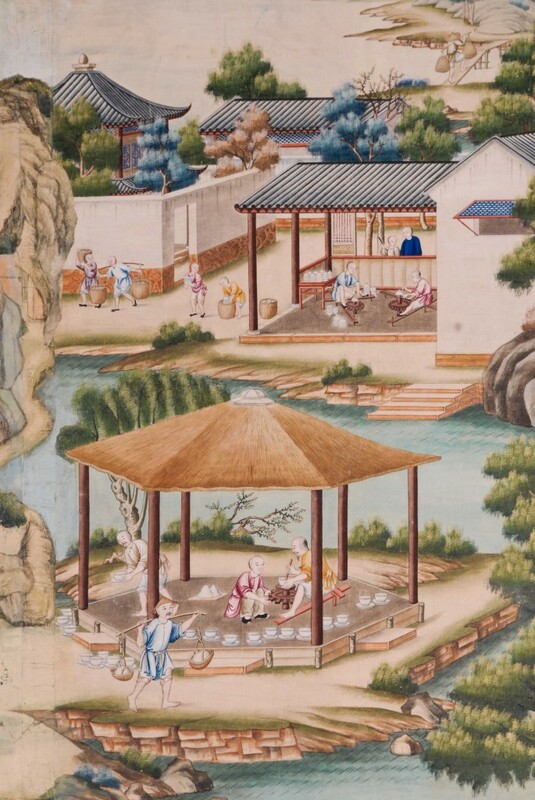 Originally hung by Chippendale's men, this rare Chinese wallpaper depicts everyday scenes. 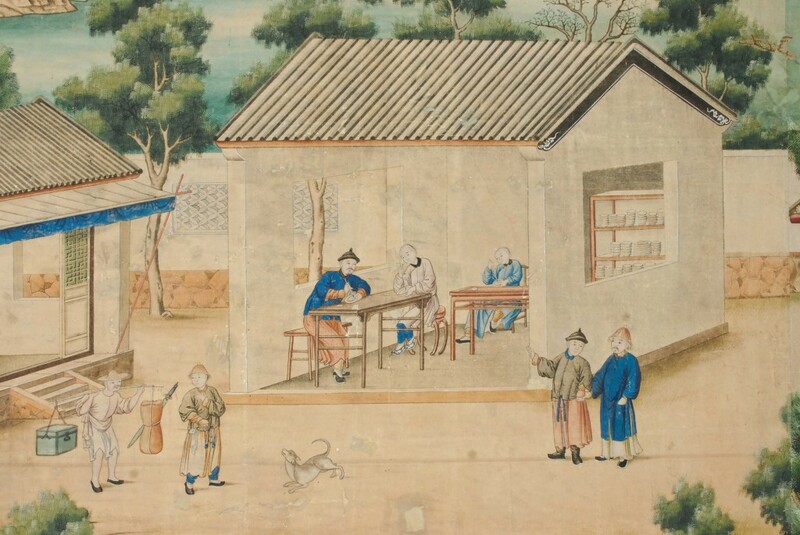 A close up image of the hand painted Chinese wallpaper dating to 1769. 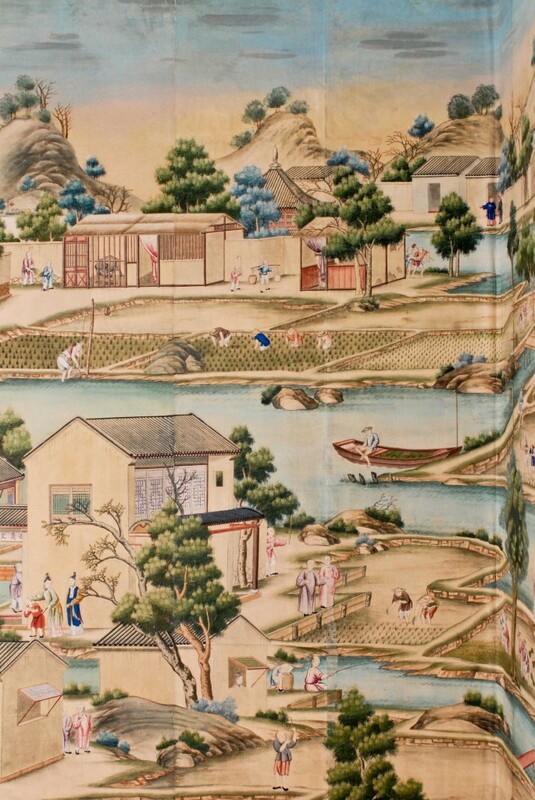 On display at Harewood House is one of the finest example of hand painted Chinese wallpaper in the world. This rare work of art was originally designed for the Chintz Bedroom on the first floor.